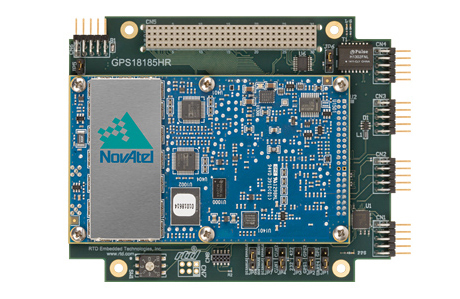 This GPS receiver carrier module from RTD uses either the NovAtel OEM729 or OEM628 GPS modules. These receivers will work reliably in a variety of installations. Integrated on the GPS18185HR board is a quad Exar XR17D154 PCI UART with four serial ports. Connect any +5V Active GPS antenna directly to the MMCX-connectors of the OEM628. 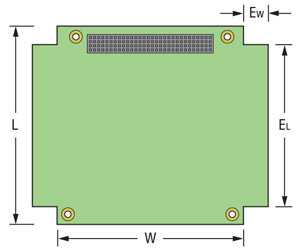 In IDAN® installations the antenna connection is brought to the front side of the IDAN frame. 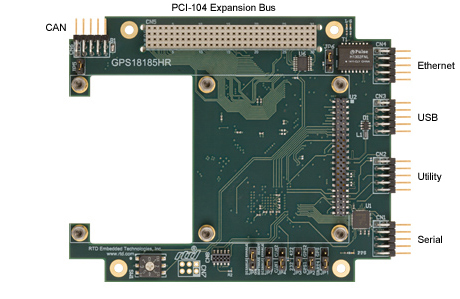 Note: Specifications for GPS18185HR carrier module only. Specifications for GPS module may vary.